Jane Badrock, Lee Betteridge, Ricardo Bravo, Richie Brown, Jessica Brown, Lee Burgess, Kendall Castor-Perry, Phil Chard, Dee Chilton, Simon Cluett, Jacky Dahlhaus, Karen Davison, Freya Eden-Ellis, Maryna Gaidar, TR Guest, Penegrin Shaw, Lucy V Hay, Rachael Howard, Fiona Hunnisett, Stephanie Hutton, Maggie Innes, James Jay, Chris Jeal, Fiona Leitch, Matt George Lovett, SV MacDonald, Dean Marriner, Ben Marshall, Scott Merrow, Robbie Mori, Tom Nolan, Andy Perry, Steve Pool, Emma Pullar, Lewis Rice, Ann Richardson, Leo Robertson, Paul Shearer, Gordon Slack, Juliet Sneed, Madeleine Swann, Melissa Szydlek, Bruce Thomas, Milethia Thomas, Phil Town, Hillier Townsend, Nick Twyford, Mark Walker, Eileen Wilson and Nick Yates. Edited by Elinor Perry Smith // Production Co-ordination and QC by Jade Wheldon / /Create50 Team Leader: Chris Jones. Twisted50 news // read all entries HERE. A far cry from one short story in a horror anthology, I’ve written a novel. It’s called The Quest For Perfection (Is A Damn Fine Thing) and you can order it from Amazon here. It’s a mystery-thriller with some horror mixed in for good measure. I like to describe it as ‘if Stephen King or Michael Crichton wrote an episode of Desperate Housewives or Lost’. Before I get into the novel though, let’s rewind a bit! It was late 2016. I was sitting at my desk in work, trying my best not to watch the clock. 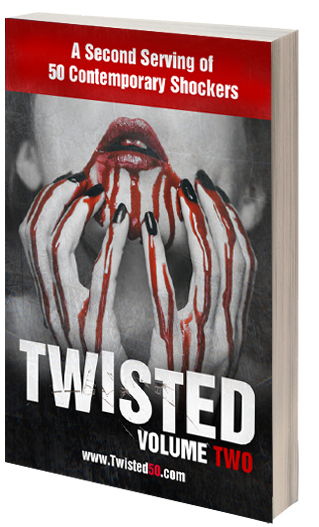 Then the e-mail came through from – Twisted 50 was officially a best-seller and had taken the Number 1 spot from the master of horror Stephen King. 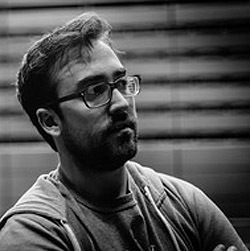 I couldn’t believe it – it was a phenomenal bookend to an amazing year I had experienced as a writer, and specifically with the Twisted 50 journey. 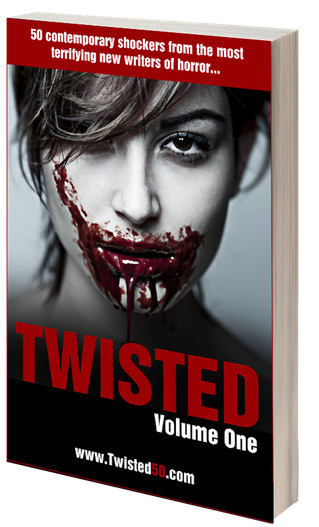 Twisted 50 volume 1 is a deliciously dark slice of contemporary horror literature. Reading it is like attending a late night secret banquet where you know each course will serve up something unexpected, forbidden and unforgettably chilling. Take your private seat now for 50 luscious courses of terror, from 50 of the strongest voices in modern horror. Edited by Elinor Perry Smith // Produced by Cristina Palmer-Romero // Create50 Team Leader: Chris Jones. 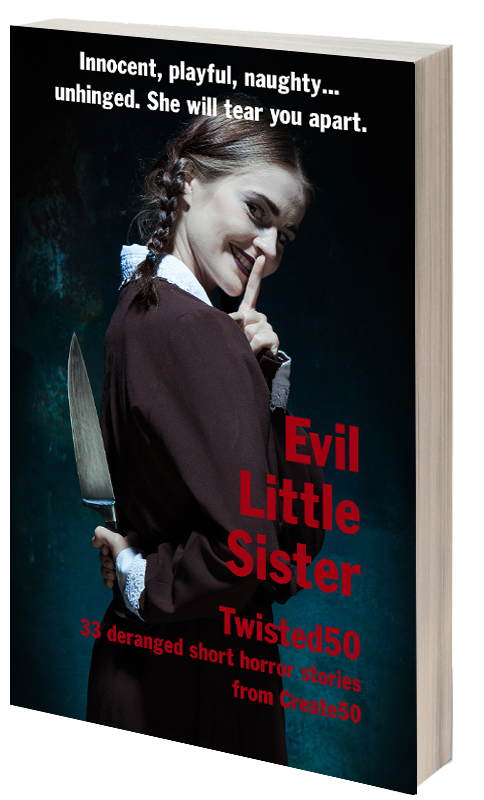 Twisted's Evil Little Sister is the sibling volume for Twisted 50, a collection of 33 horror stories... the ones that we couldn’t include in Twisted50 because they were too demented, unhinged, deranged and frankly… evil. Write YOUR Twisted50 story for the next volume here. Produced by Elinor Perry Smith // Edited by Cristina Palmer-Romero // Create50 Team Leader: Chris Jones. The audiobook is narrated by 50 different voice artists and enhanced with music and sound effects.